Head down to Mexico Today to join the thousands of on-lookers and fans to support your team or to just get away for a long weekend. And don’t forget to get your free quote or buy auto insurance to Mexico on Mexinsur.com! “The SCORE Baja 1000 is a Mexican off-road motorsport race held on the Baja California Peninsula. The race was founded by Ed Pearlman in 1967 and is sanctioned by the SCORE International. The race is one of the most prestigious off road races in the world, attracting competitors not only from every state in the United States, but also has attracted racers from Argentina, Australia, Bahamas, Brazil, Belgium, Canada, England, Finland, France, Germany, Guam, Guatemala, Holland, Israel, Italy, Japan, New Caledonia, New Zealand, Russia, Saudi Arabia, South Africa, Spain, Sweden, Switzerland, Uruguay, Yugoslavia as well as the host country of Mexico. 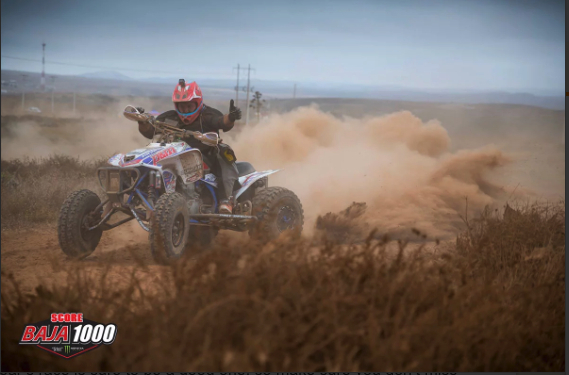 The race is the final round of a four-race annual series, including the SCORE Desert Challenge, the SCORE San Felipe 250 and the SCORE Baja 500. 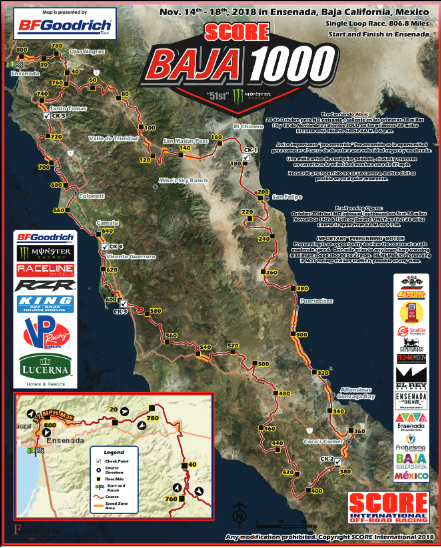 The 2017 Baja 1000 marked the 50th anniversary of the race..
Point-to-point: A point-to-point race is one that starts and ends in two different locations. The start is traditionally held in Ensenada but has been held in Tijuana and Mexicali as well. The course length varies for a point to point but is often over 1,000 miles (1,600 km) and ends in La Paz. Loop race: A loop race is one that starts and finishes in the same location. Traditionally the race starts and ends in Ensenada but has started/finished in Mexicali as well. The course length varies from 600 to 850 miles, depending on the course route. And don’t forget to get your free quote or buy auto insurance to Mexico on Mexinsur.com!